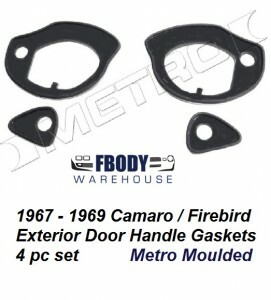 This 4 pc set does both driver and passenger side door handles. Produced by Metro Moulded units offer a standard 15 year replacement warranty. Units protect the paint on your doors from the metal ends of the exterior door handles and create a wind and water barrier preventing leaks within the door itself.